Fits inside a 3/4" router collet to allow use of 3/8" shank router bits. 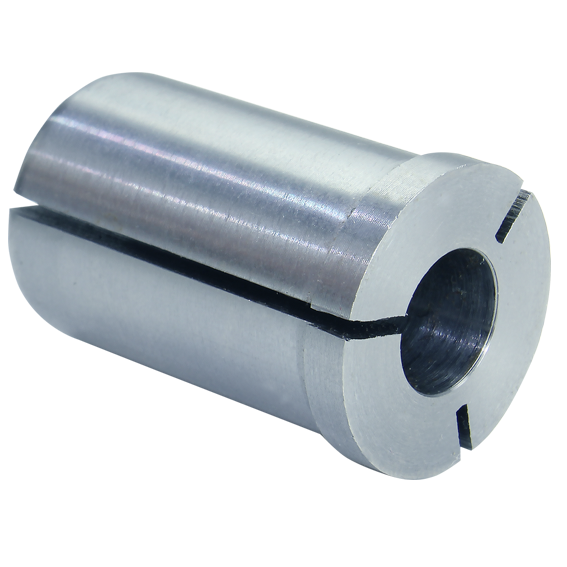 Has an overall length of 1-1/4". All steel. Whiteside Machine Company - Claremont, North Carolina.